Who you are is central to the book you want to write. Together, we listen your book into being. Then, when people read what you have written, your presence — as well as message — vibrates from the page right into their lives. the expression of your inner life deserves to be correspondingly deep, true, and beautiful. EXPRESS your deep heart by writing a book (or creating in some other tangible form). UNCOVER wonderful creative qualities in yourself in the process. TRANSFORM your experience of yourself through how you give yourself to the writing (as well as what you write). SHARE the healing gift of your completed book with the world. When your book (or another creative manifestation of your being) emerges from a journey of self-discovery and wholeness, the inner treasures you are gratified to bring forth enrich not only your grateful recipients but also you. And you heal the world from the inside out. Write the book of your heart? Bring forth a tangible expression of some other heart’s-desire or idea? Of course! If it's in you, you have to bring it out. What you need in order to write a book that you love and that transforms you is the deeper you that you can bring to it. Can listen to you so well that you get to really hear yourself.As a Book Developer and Creative Midwife, I'll help you find and mine your inner treasures and bring them into the world as a book (or other creative work that's knocking at the door of your heart). Whether it’s a book or some other form of writing, or some other creation waiting to come into form, you deserve more than to just make yourself produce a product. It’s much more fulfilling for you (and your readers) when the final product reflects the uniqueness, dimensionality, and deep heart of the person who birthed it. As a Book Developer with over 30 years in the publications field, as well as someone with a lifelong fascination with the creative process and psycho-spiritual development, I can help you make this journey in a way that will nourish you enroute, and bring your project all the way from spark to finish. Write a book (my specialty). Nonfiction (including narrative nonfiction), fiction, memoir, and more — the Writing from the Deeper Self approach works with pretty much all genres. Write in some other format — an article, a web page, a brochure, a handout, and so on. Explore in a different art form, such as art or music (the roots of the creative process are the same). Bring forth an invention, a business, a social benefit, and more. The deep-listening process works to spark your trust, guidance, and inspiration, no matter what the specific focus. This works because the process of listening to yourself in collaboration with me brings your unrealized treasures to the surface. Once these gifts from within have made themselves known to you and the path to making them tangible starts to unfold, you can put them together in any way that feels right. And ultimately bring them into the wider world. You don’t need to “have it all together.” It’s a journey of discovery; things will make themselves known. There is so much to enjoy in this process. I’m here to encourage your flowering. Want to dip your toe in? Sign up for my mailing list, below. You’ll get a generous, free excerpt from my popular book, Starting Your Book, which will give you an immediate sense of my approach and sensibility. Then you’ll know from within if who I am and how I work is a good fit for you. Want to wade in just a little deeper? Read the entire book of Starting Your Book (available in print and as an e-book/PDF). Take it into you. Do some of the exercises. Read one reader’s spontaneous response at the back of the book, and see if you feel a connection. I offer a limited number of 1/2-hour complimentary consultations to explore what's calling to you and see how to bring it into resonant form. Or you can just go straight to the complimentary consultation. Or even to scheduling a paid session. I’m happy to help you make your way to the entry point that works best for you. There’s no pressure . . . only opportunities to explore what will speak to your needs and your heart’s desire. Not sure yet? Need more information? Check out my SERVICES and PRODUCTS, below. Browse and savor. See what speaks to you. Take a step towards giving yourself the gift of your own deeper Self and making a difference in your own life and in the world. Writing can show you to yourself in longed-for ways, and give your readers a reflection of who they are. When you give yourself completely to the process — not just with your mind but with all of you, your heart, cells, and breath—everything cooperates; and you wonder in amazement, “Did I write that?” This unique and sacred approach to writing offers you doors into the land you long to re-inhabit. Then, what you share with others (if you wish to) calls them home, too. 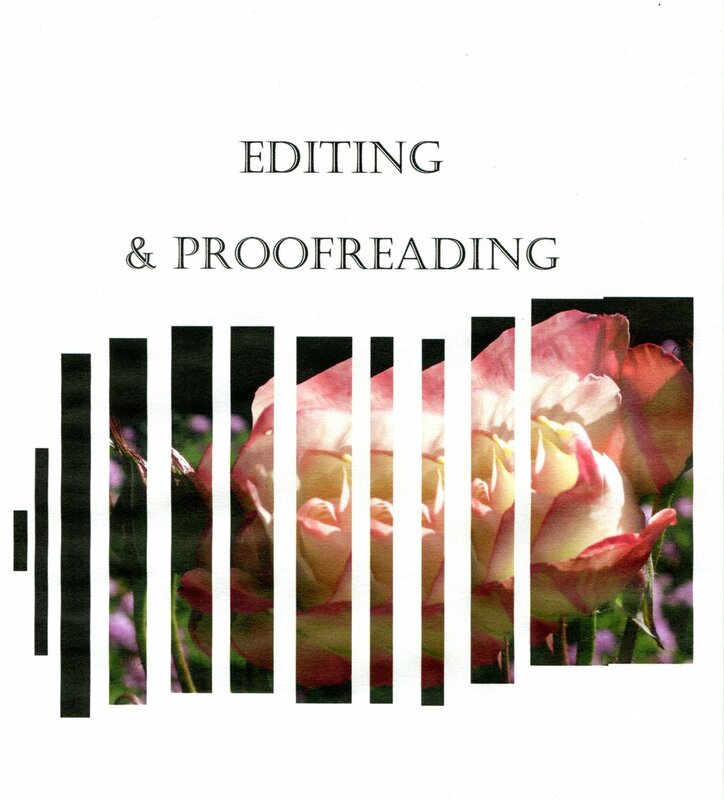 Editing: A truly helpful editor does more than head off typos at the pass: s/he makes the difference between a book that is readable and one that is dispensable, and ensures that your best intentions come across to your readers. Proofreading: Proofreading isn’t a luxury—it’s a crucial part of any written presentation. A proofreader’s detailed sweep through your writing can make the difference between being taken seriously and being immediately dismissed, since mistakes, typos, wrong words, etc. make a poor impression on your readers. If the urge to bring something other than writing into form is calling to you, then you know it won’t let you go until you start bringing it to life. Then, as soon as you start taking it to heart, it supports you. Together, we can find out what wants to be birthed in you—an artistic work, a business idea, a vision clamoring for details—and bring it out in a way that feels natural to you and adds value to your life. “Book Development” allows your book to develop organically, rather than from some one-size-fits-all template. It is based on who you are, where you are within yourself, and what you long to accomplish. As I help you listen to yourself deeply and trust what comes, enthusiasm, creativity, and inspiration supplant anxiety, and you can’t wait to give yourself to the writing process. When you are done, you have a vibrant, publishable manuscript—and a door into the next chapter of your creative journey. Self-publishing has so much to recommend it! You can make your book just the way you want; you can publish within weeks or months of completion; you get to keep all the net profits; and you get to join a growing swell of “indie publishers.” I can help you navigate this worthy but complex journey. Option 1—Engage me to teach you how to do it yourself. Option 2—I can coordinate all the pieces for you. Option 3—Choose what you want to handle, and leave the rest to me. “It’s been really wonderful working with Naomi. She is so kind and supportive and gentle and appreciative, yet perceptive of the places where my book needed improvement, from commas to emotional nuances. As a person of depth who believes that wholeness is not only possible but also a birthright, you have valuable insights to share about the human journey. By mining the depths of your own heart and experience in a book, you expand your healing influence beyond the therapy office, touch your readers in the deepest places, and enhance career opportunities. Your adeptness with listening and connecting threads of meaning makes you a natural for this healing approach to book writing. “You are indeed the creative midwife, Naomi, and you have a unique way of always inspiring those with whom you come into contact — every time! Writing is a lonely venture, with few mentors willing to urge you on. I am immensely grateful for the time that you've so generously gifted me with, and I'll cherish that forever." Ready to get started with your complimentary consultation? I have a number of spots open. One can be yours. Wondering who I am? Here’s a little about me. And right afterwards, a taste of our PRODUCTS to help you experience writing as a wonderful way to connect with yourself. As a child, stories were so much a part of family life; they were the very air I breathed. Both my parents were fiction writers, and early childhood was a magical time to inherit their love of stories. Whether it was being read wonderful bedtime stories, or having them be made up on the spot, my imagination was kept afloat in a pure and beautiful way. Not that later years didn’t cover that over; they did. But that early grounding in the power of words to inspire imagination (plus unlimited access to my parents’ bookshelves) — that knee-high intimacy — was priceless. I don’t believe any college-level cognitive course could have come close. In my early 20s, while still in graduate school as an English major, I felt a pressing need to enter “the real world.” A position as an editor at that very university was available, and I applied and got the job. The outgoing editor’s mentoring was just to hand me a copy of The Chicago Manual of Style and a can of beer, and say, “Good luck.” I learned on the job. When I moved to California a few years later, I got in on the ground floor with an editing-related cooperative, through which I got to work with publishers, authors, businesses, and nonprofits for several decades. As my skills increased in improving nonfiction writing — that left-brain, quantitative, organizational, clarity-based kind of writing characteristic of thought, as distinct from feeling and imagination — I felt light years away from my childhood. I wrote and published articles. My resume looked great. But at some point — perhaps it was my mid-life crisis — I had to ask myself, “Is this all there is?” It didn’t feel sufficient to make manuscripts read better according to the conventions of publishing. Sure, well-edited books were important; but where was the heartbeat, the pulse, the intimate connection that surely must exist in at least some of those authors — in myself? The world I was dealing with was to some degree a world of good appearances. I was in favor of good appearances. I just wanted them to reflect the truth of the people behind them. Surely there must be some way! And so I decided to go back to graduate school — this time, in transpersonal psychology — hoping to find out some key, hidden things about myself, and where I had hidden that pure child inside who once had been so available to me. I entered thinking I’d become a clinical therapist. But when I encountered the inner world beyond the cognitive, replete with its challenges and its intimate, ultimate callings, I realized that I wanted to bring these deeper understandings and ways into my work with people who wanted to write. Thus was “Writing from the Deeper Self” born. I have done this work since 1987. At first I led workshops, which were deep and galvanizing for everyone concerned. But gradually, I realized that working one-to-one was my best fit. That listening to one person at a time, deeply, brought out the best in both of us and inspired a depth of creativity and healing often surprising to the writer. I sometimes help people write this way in formats other than a book. But book writing is my primary focus. Because it’s a way for writers to have a deep, long-term relationship with themselves, rewriting their lives in the process. I have designed and curated some wonderful products to help you with the inner experience of writing — so that you can be with yourself in an attentive, nurturing way as you write. 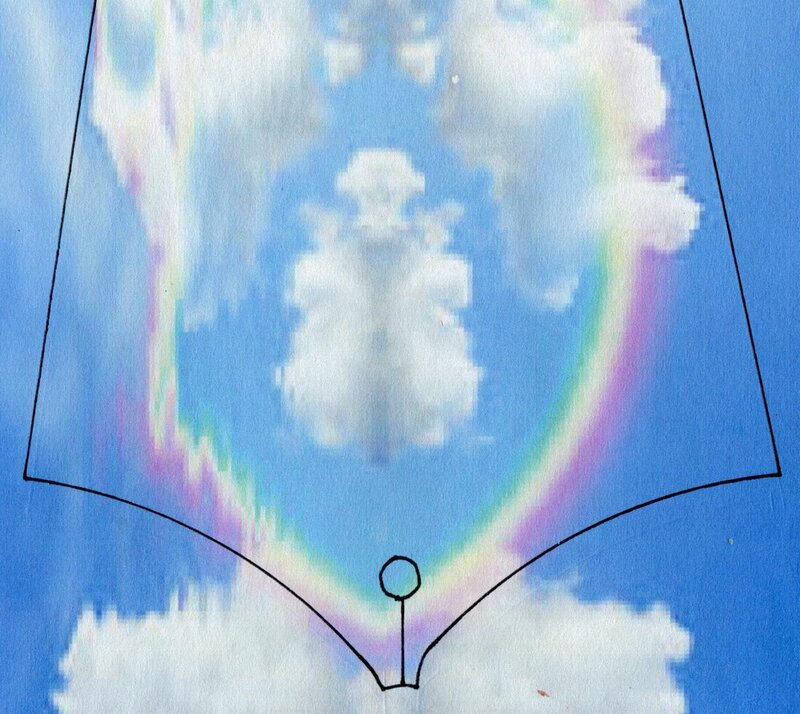 By opening up a conducive inner atmosphere, they help you shift into a receptive, connected state of consciousness in which your inner treasures can come forth. Whether it is a book (such as my Starting Your Book: A Guide to Navigating the Blank Page by Attending to What’s Inside You), a specially designed Flower Essence Remedy just for writers, flowering teas to enhance your writing sessions, art prints and photos to stimulate your own soul expression, or even chocolate for writers (and much more), what’s on this site is designed to give all of you nourishment and encouragement. Browse all the pages; see what interests you, and give yourself whatever will best support your expression of what’s in your heart. (1) The Rose Press Enhancements for Writers Collection. Products to enhance your writing and yourself. Get support from the natural world to write your book and bring it into the world. Our Flower Essence Remedies for Writers have been specially formulated exclusively for Writing from the Deeper Self by the Australian company, Sacred Space Essentials. The subtle medicine of the right flowers can work wonders for the body, mind, heart, spirit, and soul. Indulge yourself in special teas for writers as part of your writing ritual. With the time-lapse wonderment of Flowering Teas, the blooms unfold in hot water right before your eyes. These aromatic teas will help you create a conducive atmosphere in which to write the book of your heart. Enjoy — guilt-free! — an artisan chocolate (yes) for writers that is sugar-free, very delicious, herbally enhanced, and good for you. Made by a former wellness coach, Gnosis Chocolates can be woven into your writing experience as a treat and self-acknowledgment during or after a writing session. Experience the good medicine of reading with books I’ve gathered together, designed to help you find your true center and write deeply and authentically. These recommended books for writers touch not only on writing, but also on self-care, artistry, and healing. Because all of you comes into the experience of deep writing. Once you allow yourself the nourishment of these special products, you won’t want to write without them. Books to bring you home to yourself. A publishing house for your inner garden. At the very heart of Rose Press is — you. We publish books to nourish your inner being and grow your inner garden, by opening you to the inherent beauty of your own true being. And isn't that just what we want from a book — to see who we really are? As our fragrance reveals itself to us, this helps to bring about a transforming and welcoming world. So we invite you to read these books and smell the roses. Starting your Book: A Guide to Navigating the Blank Page by Attending to What’s Inside You, by Naomi Rose. The Process Notebook: A Companion to Starting Your Book, by Naomi Rose. 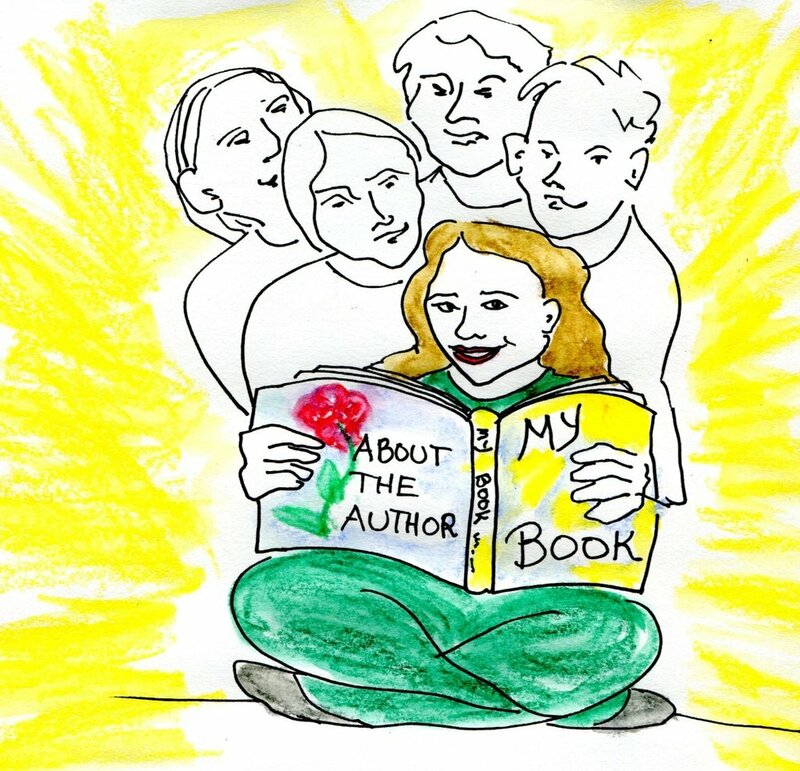 10 Essential Qualities That Help You Write Your Book, by Naomi Rose. Healing Civilization: Bringing Personal Transformation into the Societal Realm, by Claudio Naranjo, MD. Foreword by Jean Houston, PhD. The Star-Seer’s Prophecy trilogy: an epic fantasy of the healing journey, by Rahima Warren, MFT (ret.). 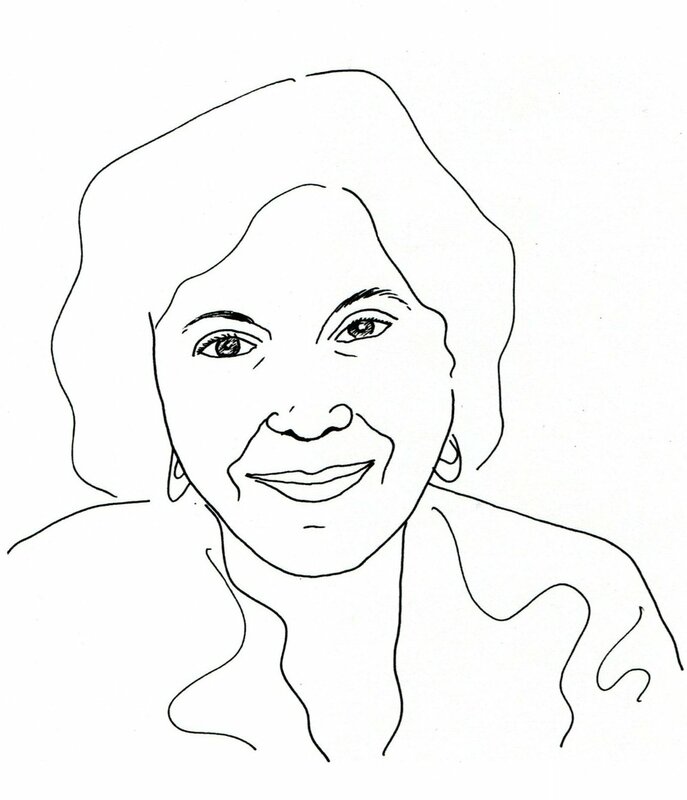 MotherWealth: The Feminine Path to Money, by Naomi Rose. The Portable Blessings Ledger: A Way to Keep Track of Your Finances and Bring Meaning & Heart to Your Dealings with Money, by Naomi Rose. A New Life: Poems, by Ralph Dranow. Why “Rose Press”? Aside from the publisher’s name, it’s about what goes into making a fragrance. To make rose perfume, 10,000 rose petals are gathered in the moonlit dark, pressed in copper vessels, and finally distilled down to a single, highly expensive ounce of rose perfume. The fragrance of these books bespeaks a similar process, and lives in the heart like a remedy-in-waiting, releasing its healing medicine as the books are read. The deeper substrate I draw from within myself to bring out the artist in you. I was born into a family of artists, and the arts were highly prized. There are things I learned about the atmospheres in writing at a young, not-all-that-articulate age simply by imbibing my parents’ love of literature and writing (as well as reading their shelves of books well before I understood them) that I never could have taken in through cognitive-level classes. So the arts have been with me like an umbilical cord since long ago. I was fortunate to have, in my father, an art teacher as well. He supplied me with art materials at an early age, and encouraged me to try out for a prestigious free high school in New York City, then called the High School of Music and Art. Studying 3 hours of fine arts a day in addition to academic classes, I sketched passengers on the subway, cityscapes, and — when I was fortunate enough to be in nature — landscapes. Having the ability to use my hands and heart in drawing, especially, brings me into my fully embodied self. This has helped me with my writing, as well — a way to image and ground what might otherwise be impossibly lofty ideas. Music, too, has been a lifelong love. Singing came easily when I was young, then dipped underground into a private place. I had to work to resuscitate it, and am so grateful for its ongoing gifts. I share my arts with you, here, for 3 reasons: (1) To bestow what I care about in hopes that it will be meaningful to you; (2) To show you the kinds of things I draw from within myself when helping you with your creative expression; and (3) to spark the beautiful expression of your own gifts. The Music page shares my singing (including an original song) as well as some of my reflections on music and listening. The Writing page includes some of my more intimate writings done over time. It’s a way for you to feel into the depth of me, as I blessedly get to do when working with you. I hope the spirit of beauty and creation that inspired (and/or required) these artistic expressions from me will inspire you to create something beautiful of your own. The Deep Conversations page includes recorded conversations with wonderful people on topics relevant to this site in which good listening takes place. The Creative Process page explores what it’s like to invite deep creativity to connect with you, and how artists in different disciplines (e.g., visual art) may go about it. Even when writing is your medium, you can learn wonderful and unexpected things by venturing outside this discipline and bringing your findings back home. The Behind the Scenes of My Book-in-Progress page is my gift to those hungry to see how writing comes about while it’s still in an unknown, rough stage, before it’s fine-tuned to “perfection.” Unlike with a visual artist, you can’t really watch a writer write; but on this page, I do my best to bring you into my experience (angels, warts, and all) so you can see what you need to see to trust your own unfolding experience of creating. The Resources offered here fall into 5 fascinating categories: (1) Inspirational, (2) Educational, (3) Meditational, (4) Medicinal, and (5) Audiobook narration. On the Inspirational page, you can enjoy an inspiring book excerpt from Becoming a Writer (from Dorothea Brande’s 1930s classic) and a video book-reading by novelist Elizabeth Berg. The Educational page features my reflections on how reading (and writing) has changed over time in light of the technology available (think papyrus scrolls as well as Gutenberg’s printing press) as seen through the eyes of Nicholas Carr, the author of the book, The Shallows: What the Internet Is Doing to Our Brain. The Meditational page offers you ways to help you ease into a relaxed, receptive state in which to approach your writing. On the Medicinal page, laughter awaits you (as in “Laughter is the best medicine”) — including a hysterically funny audio taken from one of the old “Frasier” TV shows, where the psychiatrist-brothers Frasier and Niles try to write a book together. If you’ve ever dreaded facing the unwritten page, this audio excerpt will release your endorphins through laughter! The Audiobook narration page gives you a foretaste of what it could be like to have your book (once it’s completed and published) brought to life as an audiobook. Here, a chapter from Dark Innocence — Book One of retired psychotherapist Rahima Warren’s gripping trilogy, The Star-Seer’s Prophecy — is narrated by actress Sarah Beth Goer. My Articles will span the creative process, book writing, and much more. These pages will be updated periodically. So stop and smell the roses. You’re sure to find something to encourage your flowering.